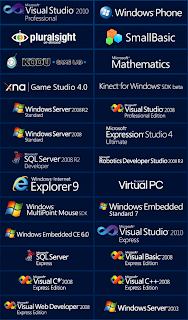 Microsoft Dream Spark (www.dreamspark.com) is a project of Microsoft for students to provide latest IT Tools and Softwares developed by Microsoft for free. But it is only for few, also it requires an Access Key to enter into Dream Spark. Upto now we distributed 300+ keys without any conditions. From today I want to give the keys only to the people who support my page (adding our page to your social networking) , We just need 3 minutes of your time. Like our FaceBook Fan Page, click the "F" icon to open the Stuffadda FaceBook page and Hit Like. Follow us on Twitter. Click the icon to open Stuffadda Twitter page and hit follow. Add Stuffadda to your Google+ circles. Click "g+" icon to open Stuffadda Google+ Page and add the page to your circles. Subscribe to our Email updates. You will get only Website updates when the site was updated. No Ads or Spam. Click the icon to open the subscription page. Enter your Email ID and hit "Complete Subscription Request". You will get an Email to verify and validate. Once you done validation, its completed. Without validation, you are not eligible. Only revenue for maintainence of the site. You can find these on Top and right top side. Fill the form with the details you done above, we cross check. Click the icon to open the Form. Don't forget to drop your request in the below Comment Box. Update (01-Dec-2011): So many users are asking is this post still alive? My answer is Yes. I have still 400+ DreamSpark keys. So the post can be alive for 400 more requests. New:No need to write Email directly into the comment box now. Just write the message and click Post as then select Guest Write Mail ID & Name, So your Email ID will be visible to me only not to public. Click on the image to see in large "About How to Comment"
STEP 2:- You need to sign-in using Windows Live ID (Hotmail) by clicking on the right top corner of the page where it says sign-in. If you dont have a Windows Live ID, then you have to create one by clicking on Sign-up. It should not take more than a minute. STEP 3:- Sign-in using the windows live id and then choose the country as India. STEP 4:- Enter the License key in the field that says access code (this has to be done only once). STEP 5:- Choose software from the list and start downloading. So you need a Access Key, Request it here. [In Comment BOX] with your MAIL ID, I will send to your Mail. Please wait until EOD (IST). Tags: Microsoft Dream Spark Access Key, Login keys, Request a access Key, Microsoft, DreamSpark, Microsoft free softwares download, How to download free softwares of Microsoft, DreamSpark, Keys. Mailed to you, chk ur Mail. Can you send me a code? I send a mail to U, but delivery to the mail was failed. Due to wrong mail address, Plz chk once..! Access key would be great! Hi! pls send me the code. I'm from sklm. @ rahul.bansal050@gmail.com Ur mail ID was wrong, Msg sending failed, plz re-drop ur mail correctly..! Please,Give me a dreamspark access code. I really need it.Please, please, please, give me a dreamspark access code. pls pls pls give me an access code.i really need it. Can i get one code alwinserv[@]gmail.com? Thanks, I sent a Key 4 all of you, Chk ur Mails! It would be great if i can get access to the online virtual lab.!! Hi, I would like to have this access code. My email is migcarmed@hotmail.com. Can i get one code marius[@]petrisor.eu? @ Anantha Its My Pleasure! Chk Ur mail I sent the Key to the Mails. @ Romanosipyan Plz chk Ur Mail, I sent a Code to ur mail. Hello! Can you send a Access Key to leader_skipper@yahoo.com.br? Thank you very much! may I get a code? Chk Ur mails, I sent the Access code to ur mails. @ trezit_la_realitate, Chk ur mail. I sent the code! I sent the mail, plz chk it for the code! Send Keys chk ur mail..
Chk ur mail, I send the code..! Please, send a code to me! Please send me a code. Thank you! Please I want to have a Key,too. Hi, may I please have the code? @all I send a mail, chk ur mails. Sorry 4 the delay, i am out of station & no Inet connectivity. got it! cool dude. thanks!! I send the Access code to the mail..! Wow! Thank you very much, Bharath! You are the best. These compliments will encourage us! Might I have one as well? Thank you, I appreciate it greatly. don't know if this is going through but I would also like a key for this feature. My school does not participate in this. This will helps U a lot. Anyway I send a key to ur mail...! Mail Delivery is Failed. May be due to incorrect mail ID. Correct it. pls. give me an access key for dreamspark. For Above all, I send the Keys on ur req . Thax for ur Reply too after receiving the KEY. Hey Can you send me a key please? Only working things are only found in this site, No fakes. Access Key Request- Please send me one. send one to the_big_lazy_one@hotmail.com, please. Thank you very much! @Sowmya I send U, but the mail was bounced. Can U plz chk ur mail ID....! Hi. Can you please send me an activation code to drew50266@hotmail.com? Thanks!! @Admin, Many thanks for code, I got ur email. Hai, please send me an activation code for etuzumaki@gmail.com. Plz, I got an invalid activation code from MS. So, can you try sending me one at unsought@hotmail.com ? Hope all U are accessing the codes. All U got the codes instantly. If I am unavailable then it will take a day. Could you please send an activation code to the following address? I send the mail, chk it. I just send U the key in mail. Hi Richard, please chk ur mail..! Godgod14, plz chk ur mail...! Please send one to me my email is cameronf762@xtra.co.nz PLEASE!!! Chk Ur mail, Just now I send it. Could I get an activation code to the following address as well, please? Chk ur Mail. I send it. I just send a mail for u, Plz chk it out...! just send a key to your mail..Plz chk out. Chk ur mail...! I send it. Just a few mins back I send the mail for U sparky....! The code you gave me didnt work. Just Send to ur mail. Just now send the Key to the mail given by you & sorry for the delay as I am out of station and here it is a limited connectivity. Plz chk ur mail. I send it. Hi,I want a dreamspark access key. Hey buddy,please send me a dreamspark access key. Hi I send it to your mail. Plz chk out. Hi Shibu, Just now I send It to your mail. Plz chk out. bro, can u help me out wit.. my win7 ultimate trail is goin 2 end after 4 days and i don't have a valid serial key.. if u r having an win 7 ultimate key, can u pls share with me..plzzzz... thansks frnd for d access serial for spark..
Can you please send me DreamSpark access key to my remo.cstist@gmail.com address. 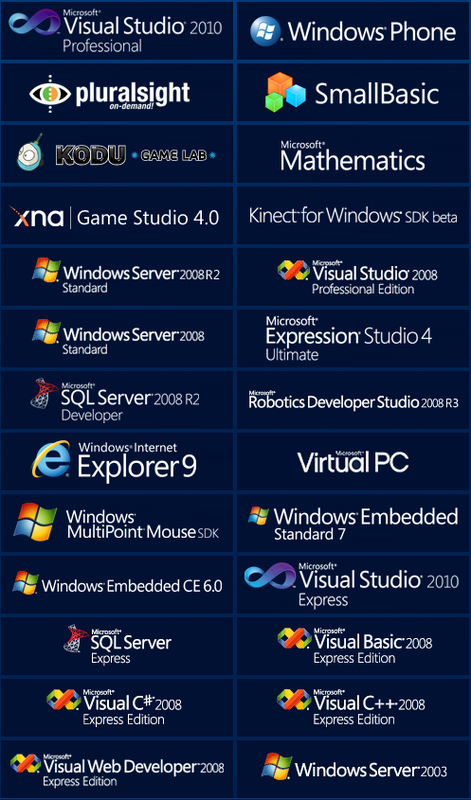 I want DreamSpark for Microsoft Programming Envoirenments. Please send me DreamSpark Access Key on my email address remo.cstist@gmail.com. Is it possible to receive an Access Key as well? It would really be appreciated. Thanks in advance.